In light of major revisions to its Occupational Health and Safety (OHS) Act, the Alberta Government has partnered with the Canadian Center of Occupational Health and Safety to develop and deliver a free e‑learning course for provincial residents. 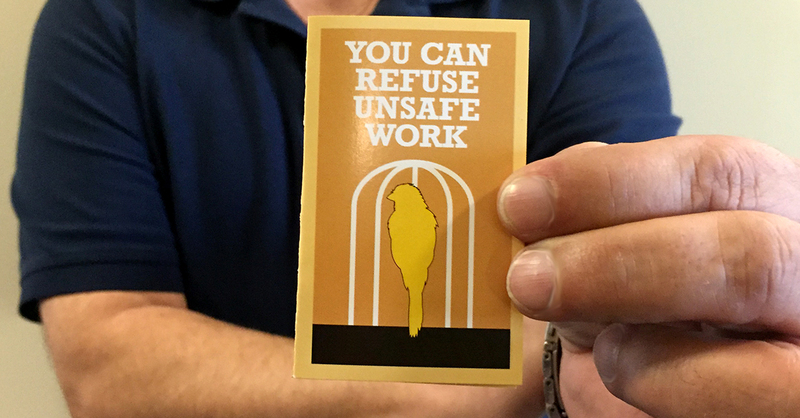 The revised OHS regulations, which came into effect June 1, include the right of workers to refuse unsafe work, the right to know about potential safety hazards, and the right to participate in safety discussions. The CUPE Health and Safety Department would like to encourage all members in Alberta to take advantage of this free course in order to start learning about the sweeping changes to the legislation, and to support committee co‑chairs and representatives in their roles and responsibilities. Get involved in health and safety discussions in your workplace! Contact your local to find out about other training opportunities through CUPE’s Health and Safety Learning Series.